Sweet, sassy and a little bad-assy! Hellish Relish is a moreish mixture of fresh seasonal chili peppers and onions, cooked up with mustard seed, vinegar, salt and a sprinkle of sugar to create a sweet and sassy taste sensation that you can enjoy on almost anything OR straight out of the jar! 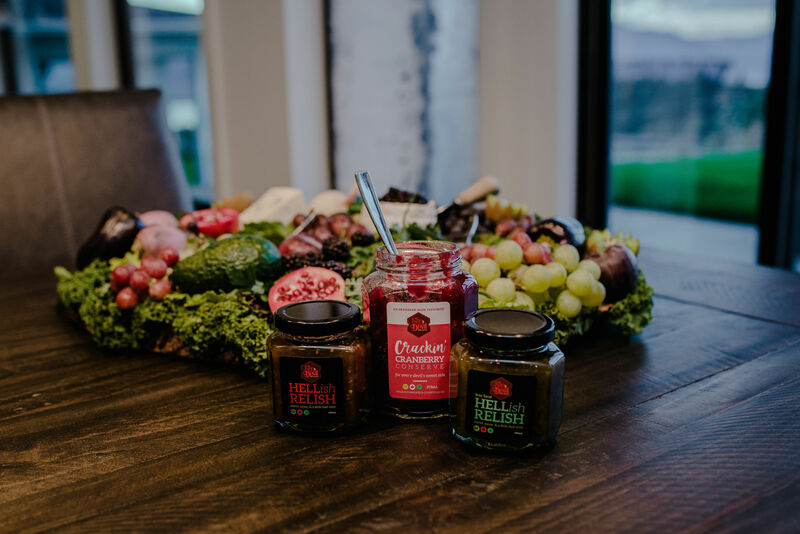 Try the Crackin’ Cranberry conserve as a great addition to your charcuterie board, on top of a brownie for a bit of a kick or of course with your holiday favourites. So versatile and perfect for year round entertaining deliciousness!